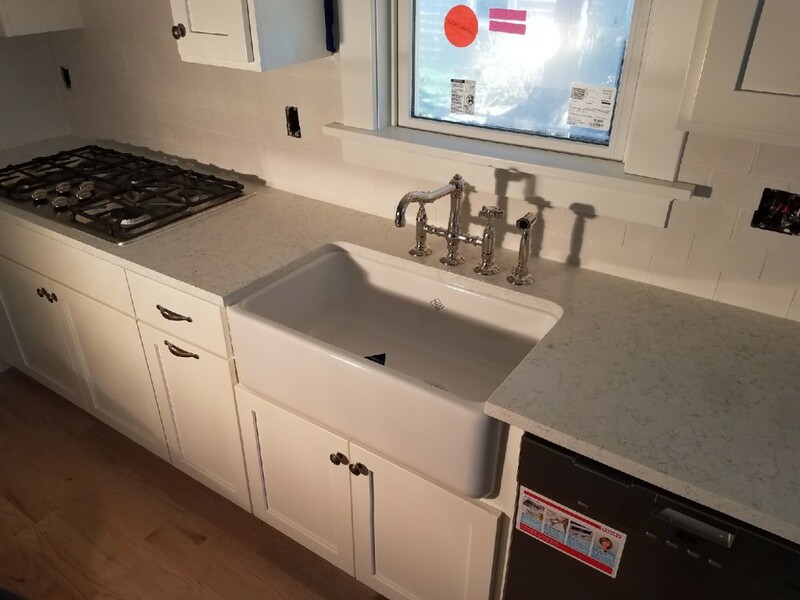 Kitchen Plumbing Installation | Salisbuy | Carroll Plumbing & Heating Inc.
Did you know that we specialize in plumbing installation, not just plumbing repair? For homeowners in Chesterfield County, we installed the faucet and converted the stove top to gas for their new kitchen. They can rest well at night knowing that their kitchen’s functionality will match its beauty! A skilled and certified plumber is recommended for any home remodeling that involves your plumbing system. Because plumbing is one of the most complex systems in your Richmond home, it’s vital you seek expertise when moving fixtures or swapping out appliances. Whether you simply want to upgrade your electric range to gas, or plan to get a major kitchen renovation underway, Carroll Plumbing & Heating Inc. can assist in making sure everything goes with the flow! Avoid plumbing repairs and mishaps in your kitchen plumbing installations, hire an expert! Contact us today for prompt, reliable service in your Richmond home.